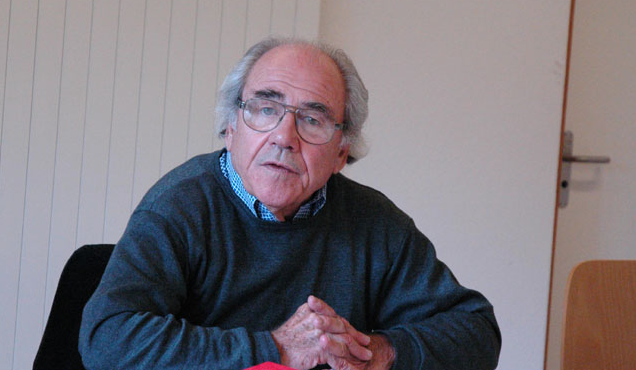 French post-structuralist philosopher/sociologist Jean Baudrillard—usually identified with his postmodern theories of simulacra—is a little bit of a fringe figure in pop culture. Known to hip academic types and avant-garde-ists, he’s maybe the kind of thinker who gets name-dropped more than read (and he’s no easy read). Recorded live as part of the Chance Festival at Whiskey Pete’s Casino in Stateline Nevada, 1996. You’ve never heard Baudrillard like this before! Music to read Nietzsche to. Indeed. The track above is number two on a twelve-track album called Suicide Moi, released in 2002 by Compound Annex Records. You can buy the CD here or stream and download individual tracks for free on UbuWeb.